Scott’s Superior Inn & Cabins is situated on the shores of Lake Superior near the Porcupine Mountains in Michigan’s Western Upper Peninsula. Our property features an inviting lobby, with a large fireplace, a spacious fire-placed recreation room that allows lively competition at foosball, pool and other games. Rooms are attractively furnished and beautifully carpeted for quiet and luxurious relaxation. 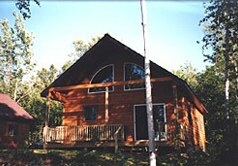 We offer lodging with direct access to the scenic, groomed snowmobile trails of the Western U.P.